Historically, funders had no reason to get involved with publishing: they were experts at funding research, publishers were experts at publishing research – why venture into a role that is already well-serviced by established professionals? However, since the advent of online publishing and the open access movement, and the subsequent realization of potentially widespread irreproducibility and publication bias in the scholarly literature, the interests of funders are growing increasingly at odds with conventional scholarly publishing. Making research open access for reuse by anyone; not blocked by unaffordable paywalls. Ensuring new findings can be rapidly translated into new research or practical applications; not delayed by months or years due to lengthy embargo periods, or unnecessarily cumbersome peer review and production systems. Guaranteeing all valid work they fund is available for reuse, including data, code and negative results; not leaving these outputs to languish on a hard drive where no one can use it due to a novelty-obsessed editorial system or a data-shy research culture. Further, funders want publishing to be as rigorous and transparent as possible, to ensure the system’s accountability and so build academic and public trust in the published literature, after it took a knock during the reproducibility crisis. Several funders have implemented policies encouraging open access and data sharing but feel the progress has been too slow and the wider publishing system too resistant to change. There is also the issue of the cost effectiveness of current immediate open access options. Most are expensive and funders are worried costs could escalate further, especially for prestige and hybrid journals. Some funders felt they couldn’t simply wait for the publishing system to realign itself with these goals; they need to get actively involved in kick-starting a better way of disseminating research. So, in late 2016, Wellcome became the first funder to decisively move into the publishing game with the launch of Wellcome Open Research. Other major philanthropic and public funders have since launched their own open publishing platforms, namely: the Bill & Melinda Gates Foundation, Health Research Board Ireland, and most recently AMRC (a consortium of 24 UK-based biomedical charities). Earlier this year, the European Commission put out a tender to create its own platform, which would make it the biggest funder by far to move into this space. The platforms allow a funder’s grantees (and their collaborators) to openly share any research they think is fit to publish, along with any dependent raw data and code, within a few days of submission; referees openly review the work and if they deem it scientifically sound, the work is indexed. Articles can be updated if and when necessary. The platform development and publishing work is contracted to an independent publisher, partially to make use of their expertise, partially to avoid potential funder conflicts of interest influencing editorial decisions. Currently, F1000Research is the sole provider of these platforms, but this may well change after the European Commission announces the results of its tender. However, the platform is owned by the funder and operates under its name; the latter is important as this endorsement helps ease their grantee’s minds, knowing anything they publish on the platform will be considered eligible for evaluations. Funder publishing platforms are a still a very new development, and there are issues that need to be navigated carefully. These include but are not limited to preventing funder-editorial conflicts of interest; how smaller funders can get involved; who pays in joint-funder collaborations; avoiding vendor lock-in; and arranging long term governance of the platforms. These issues all look to be resolvable, and it will be exciting to see how much these platforms might disrupt the publishing ecosystem over the next few years. Tom Ingraham is Scholarly Communications Officer at the University of Queensland. He was formerly an Associate Editor and Publisher at F1000Research, spending six years at the company from its inception in 2012 until early 2018 managing several of its publishing initiatives and community-based article collections. Wikipedia aims to make a free and accessible summary of all human knowledge and is therefore one of the most well known open access efforts. The cumulative efforts of its volunteer writers (Wikipedians) has resulted in it dwarfing all previous encyclopedias in scope and depth. Additional collaborations with members of the open access community are taking this further. Many of these ideas are globally relevant, however a number of initiatives exist in Australia and New Zealand. A pair of recent papers in Science and JECH make the case that there has never been a better time to help shape the world’s most-read information source. A few decades ago, an encyclopedia was a luxury that few could afford. Now, all with Internet access have free access to an encyclopedia larger than could fit in most homes, if printed. Wikipedia is extensively used by the general public, as well as doctors, medical students, lawmakers, and educators. Indeed, it’s the primary free information source in many countries, especially for biomedical content. For example, during the 2014 Ebola outbreak, the rapid updating and translation of relevant Wikipedia into more than 115 languages lead to these articles being read nearly 100 million times that year. Access to Wikipedia without data charges is also available in over 50 countries via the Wikipedia Zero project, covering more than 300 million people. The offline medical Wikipedia app and Internet-in-a-box initiatives offer greater accessibility to those with limited connectivity. With over half of the world’s population not online, and many more with only intermittent access, these efforts are critical. Wikipedia is an encyclopedia, and therefore can only summarise existing knowledge. It therefore depends on citing reliable and verifiable reference sources to support its statements. Since it is editable by anyone, it is particularly important that anyone be able to cross-check the stated ‘facts’. Indeed, Wikipedia is the 6th highest referrer of DOI links (the unique hyperlinks assigned to academic articles). However, most Wikipedia readers (and many of its writers) do not have access to paywalled articles. How then can references be checked? Some journals provide access to Wikipedians through the Wikipedia Resource Library. This allows details within paywalled sources to be duly summarised and distributed, but it’s an imperfect solution. Readers wanting to check a source or read deeper into a subject hit the wall, and images can’t be easily replicated. Wikipedia articles commonly cite open access articles, however there are often no open access alternatives to paywalled articles. Currently, there is no perfect solution for which sources to cite, but any efforts that strengthen open access benefit the encyclopedia. Any advances in the open access movement aid Wikipedia, as well as more targeted efforts. On an individual level, teaching people how to directly edit Wikipedia enables them to get involved on the ground-level. There are widespread Australian examples, including universities, conferences, libraries, and societies across the country. Similar events in New Zealand have been hosted by Royal Society Te Apārangi and Whanganui museum. The editing interface has been updated to be as easy to use as a Word document. People may contribute for a specific event (an edit-a-thon), or become regular contributors. The writer community organises itself into groups called ‘WikiProjects’ with shared topic interests. Efforts include adding or improving text, copy-editing, reviewing new edits, and adding images or other media. Encouraging professional bodies to formally recognise Wikipedia editing as a service to the academic community and wider world will help legitimize it as a worthwhile use of time by busy professionals. Greater involvement by subject experts can improve Wikipedia’s quality. As yet, no Australian or New Zealand funding body formally recognises Wikipedia editing for grant or fellowship applications. We also strongly support the expansion of dual-publishing of peer reviewed articles by academic journals (e.g. by PLOS, Gene, and Wiki.J.Med). This process creates a citable ‘version of record’ in the journal (providing academic credit for the authors) and the content is then used to create or overhaul the relevant Wikipedia pages. Through Wikipedia, health professionals can massively impact public health literacy (even obscure Wikipedia pages usually get hundreds or thousands of views per day). Academics similarly gain a public impact that is matched by few other platforms. In return, the encyclopedia benefits from the accurate and expert-reviewed information and the journal gains greater exposure. Larger groups and organisations can also be mobilised to contribute to Wikipedia as an open access outlet. For example, Blausen Medical and Osmosis.org have contributed galleries of open access images and videos, which are used to illustrate the encyclopedia. Institutions such as the Cochrane, Cancer research UK, and Consumer Reports have teamed up with experienced Wikipedians and trained their members to add information and references to relevant Wikipedia articles. Journals can also be encouraged to release their back-catalogues under open access licenses, unlocking vital sources. Studies at Australia’s Monash University also recommended integrating Wikipedia editing into university courses, and several universities, such as the University of Sydney, do just this. Even database services can integrate their data into Wikipedia’s structured knowledge database, WikiData (e.g. on genes and RNA families). Although the recent articles in Science and JECH focused on the biomedical field, these are examples of a much wider phenomenon. For instance, there have been several ongoing collaborations between Galleries, Libraries and Museums around the world to add their knowledge to Wikipedia under open access licenses. Wikipedia also has the potential to be a knowledge access platform for the 4 billion people who are not currently online. Its open license allows people to translate, build upon, and distribute its content in new and innovative ways with no requirements beyond attribution and releasing what they create under a similar license. Wikipedia and the open access movement are already intertwined. Open access publishing provides information needed for growing, improving and updating Wikipedia. Meanwhile, Wikipedians search, summarise and combine that vast sea of information into free articles. Each benefits from the strengths of the other, and can be helped by specific collaboration efforts. The Wikimedia Foundation, the organisation that hosts Wikipedia, is currently formulating its strategy through to 2030 and has identified collaboration with the wider knowledge ecosystem as one of its key themes. Shafee, Thomas; Masukume, Gwinyai; Kipersztok, Lisa; Das, Diptanshu; Häggström, Mikael; Heilman, James (2017-10-29). “The evolution of Wikipedia’s medical content: past, present and future”. Journal of Epidemiology and Community Health. 71 (10). doi:10.1136/jech-2016-208601. Shafee, Thomas; Mietchen, Daniel; Su, Andrew I. (2017-08-11). “Academics can help shape Wikipedia”. Science. 357 (6351): 557–558. doi:10.1126/science.aao0462. This work is licensed by AOASG under a Creative Commons Attribution 4.0 International License. All authors have contributed to Wikipedia articles, are current participants in WikiProject Medicine, and are on the editorial board of WikiJournal of Medicine. Thomas Shafee is on the editorial board of PLOS Genetics. James Heilman is a former and current member of the Wikimedia Foundation board of trustees. The authors do not receive financial compensation for their contributions to these projects. The National Science and Innovation Agenda has sharpened the focus on leveraging commercial and public value from Australia’s research. Research outputs, whether data, software, methods or publications, underpin innovation and are a critical component of future research. Yet Australia does not have an overarching statement of principle or policy with respect to access. In July 2016, under the auspices of the Universities Australia’s Deputy Vice-Chancellors (Research) Committee, a working group of representatives of university, research, business and the not-for-profit sector, with observers from government bodies, drafted a national statement of principles aimed at opening up access to Australia’s research. The draft statement was sent for consultation across the Australian higher education sector as well as to relevant government agencies, peak bodies, and industry associations involved in research in Australia. High-level feedback was also sought from relevant international bodies working in open access. The resulting statement, available here, proposes a framework for this access that builds on principles already established for data: namely that all Australia’s research outputs should be F.A.I.R. (Findable, Accessible, Interoperable, Reusable). The working group has completed its work and the Australasian Open Access Strategy Group is now undertaking coordination of the statement and responses to it. We welcome expressions of support for this statement as we seek to make F.A.I.R. access an integral part of Australia’s national research and innovation framework. “The Australian, and State and Territory governments should implement an open access policy for publicly-funded research. The policy should provide free and open access arrangements for all publications funded by governments, directly or through university funding, within 12 months of publication. The policy should minimise exemptions. We strongly agree that there is a need for a national open access policy and that any policy at the states’ level should be aligned with that at a national level, and with international policy developments. In the development of the open access policy support should be provided for its implementation in accordance with the F.A.I.R principles (that research outputs be Findable, Accessible, Interoperable and Reusable). These principles articulate specific requirements, including on the appropriate licensing of the work and other core principles. Over the past three years the AOASG has worked to assist researchers, funders, research organisations and libraries by sharing knowledge about and assisting in building capacity for Open Access. The AOASG now includes all eight New Zealand universities as well as nine Australian universities. AOASG welcomes the Review of Research Policy and Funding Arrangements for Higher Education, in particular the focus on increasing the impact of the significant investment made by the Commonwealth Government in universities. Comments from the AOASG follow in relation to Sections 1,2, and 4 of the issues paper. To achieve industry impact and enable commercialisation, the research outcomes from universities need to be easily discoverable, free online with clear reuse rights, and with linked access to the data that underpins the research. Recent years have seen the government launch some important initiatives to assist availability of research outputs. AOASG welcomes the policies of the Australian Research Council (ARC) and National Health and Medical Research Council (NHMRC)which recommend Open Access for research outputs from research funded by the Councils. We note that compliance is as yet, unmeasured. There will be genuine financial benefit from making research outputs, including data, available on an open access basis. Australian Government policy is underdeveloped in this area, leading to inconsistent practices, limited availability of funded research outputs and sub-optimal industry impact. a lack of an overarching national discovery mechanism – for example the ability to search seamlessly across all research outputs, including published work and that deposited in repositories. a lack of a service that would support industry awareness of new research (such as the SHARE initiative in the US) . No entity which is responsible for the the collaboration required between policy makers, such as ARC and NHMRC, academic institutions, and those who can provide technology and infrastructure, such as Intersect and the National Library of Australia. One reliable measure of the use of research is by counting the number of citations to that work in other publications. This is an important metric for researchers. There is substantial evidence that making research available via Open Access publications increases citations , ie researchers can improve their citation rate in this way. However, it is important that such citations are measured at the article, not the journal level and are part of an overall programme of considered impact evaluation. On the question of what can universities do to enhance collaboration (4.3.3) we believe that making universities’ research more discoverable via Open Access, either via universities’ repositories or through fully open access journals is a crucial first step. There is substantial evidence that industry – especially small and medium sized enterprises (SMEs)  – are not able to routinely and affordably access the research they need. However, an important overarching barrier to improving accessibility and hence translation of both research publications and the associated data is financial – ie the cost of Open Access publication, repository infrastructure and data curation. Full funding for the dissemination of results in the relevant grants, with specific line items associated with such funding would we believe substantially improve the use, reuse, impact and translation of Australian research. In an open world, what value do publishers add to research? Jack Nunn, a consultant in public involvement in research, who works as a researcher in the Public Health Department at La Trobe University, reflects on how publishing could be different. Using only camembert, smoked salmon and controlled laboratory conditions, I had a revelation about the relationship between researchers, publishers and the public. This is the story. I was in one of the world’s leading laboratories being given a tour of a potentially hazardous area, when suddenly the PA barked ‘ATTENTION ALL STAFF, ATTENTION ALL STAFF’. I was ready for the worst, to evacuate or suit up. But why was I there at all? I’d spoken earlier that day about public involvement in research and publishing at an event at the Walter and Eliza Hall Research Institute. It was organised and paid for by the open access publisher Biomed Central, in order to raise awareness about their work. The publisher recently asked if I would volunteer my time to be a member of the editorial board of the new journal ‘Research Involvement and Engagement’ and also speak at their events in Australia. It is a new journal being run on a not-for-profit model and BioMed Central are world-leaders in open access publishing, so it was exciting to accept. I found myself plunged into the mysterious, intriguing and often self-perpetuating world of publishing. The speech I made essentially asked the question ‘What value do publishers add to research, and therefore the public good’. This is a different question from how valuable is publishing – to which the answer is ‘very’. Publishers make lots of money from publishing research, including open access research. In other words, I sought an answer to the question – ‘what are publishers giving back to the research process, in return for the money they take’. I also asked how the public could be supported to be more involved in every stage of the research cycle, including publishing and dissemination. I ended with my usual plug for Tim Berners Lee’s eye-opening TED talk about open and linked data, which describes how everyone can access and interpret data – the very embodiment of public involvement in research. In conclusion, I said I think publishers have an important and crucial role in science, and posed a series of questions to reflect on why do publishers exist as they do – much as one may ponder ‘Why do we have a Royal Family?’ in a neutral and balanced way. After I spoke, I met interesting people around a delicious buffet of cheeses and smoked salmon and then was fortunate enough to be given a tour of the research institute. Within half an hour I’d met world-leading cancer researchers, people developing potential malaria vaccines and seen other labs full of people working late, missing out on time with friends and family in order to do countless wonderful things in the name of research. As it was a working lab, naturally there were exciting things like negative pressure rooms and gene-sequencers – but also the reminders you were somewhere potentially dangerous, with ‘biohazard’ signs and emergency eyewash and showers at every corner. Suddenly the PA system barked out ‘ATTENTION ALL STAFF, ATTENTION ALL STAFF. They had my attention too. I was ready to evacuate, or go on a three-day lock-down to hunt for an escaped malaria-carrying mosquito. ‘THERE IS LEFT-OVER FOOD UPSTAIRS. Repeat, THERE IS LEFT-OVER FOOD UPSTAIRS ’. I laughed, half in relief – but on reflection, there was nothing that funny about it. The food was from the BioMed Central event I had spoken at. 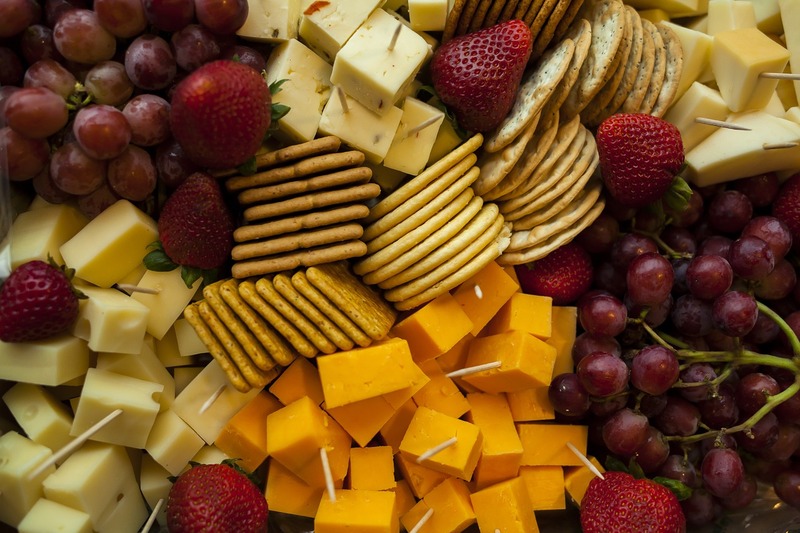 Naturally, no one wants food to go to waste – but the funny side wore off when I saw researchers head upstairs to eat leftovers from an event, which like many awareness raising events, is partly funded by open access fees. These are often paid by research institutions (thus indirectly, taxes or charitable donations) to publishers to cover the costs of making it available without a ‘paywall’. I day-dreamed of a world where researchers doing life-saving work had publishers eating their leftovers, at events hosted by researchers. Events where researchers allowed potential publishers to apply for the privilege of publishing them – and researchers decide who they will allow to publish their important research. I imagined what would happen if all researchers collectively and suddenly decided they didn’t want to submit to ‘for-profit’ publishers because they felt reputations and impact factors were suddenly irrelevant in a digital age, thus disrupting any business model based on prestige. 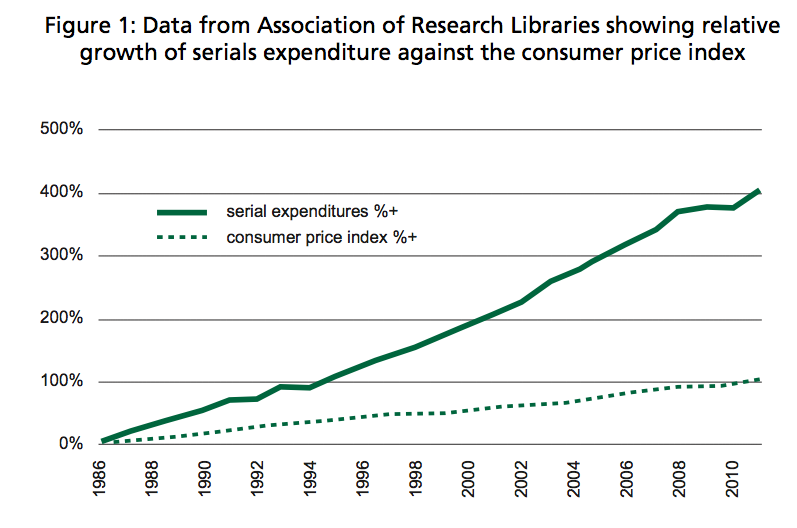 Would less money go to publishers and more stay within research institutions for research? Would a sea of poor quality research drown good research with no one paid to check it, or would publishing just happen faster, like publishing this blog – the reviewing stage happening afterwards, in the open, in public? It was a wild day-dream and I blame the cheese. So, if you ever feel you are not worthy to eat the leftovers and crumbs of others, always ask ‘whose table is it’? In research, the table is for everyone, and we should all be invited to sit at it as equals. We just need to figure out who is bringing the cheese and smoked salmon. Jack has led the development and implementation of an internationally recognised model for building partnerships between the public and researchers. He has worked for Government, leading charities and universities, including the UK’s National Institute for Health Research and Macmillan Cancer Support. He has partnered with the World Health Organisation, the Cochrane Collaboration and community organisations across the UK, Europe, Australia and Asia. Full disclosure: I receive no money for the time I volunteer with BioMed Central. I did, however, eat more than my fair share of cheese at one of their events. Earlier this year the Australian Government responded to the Chief Scientist’s paper, Science, Technology, Engineering and Mathematics: Australia’s Future, which was published in September 2014. The Australian Government’s response was entitled Vision for a Science Nation and responses were invited to it. Australia’s research councils and some Government science agencies have arrangements in place to ensure wide access to research publications arising from the research they fund or conduct. There is no comprehensive policy covering all publicly funded research. These recommendations and the responses come at crucial time for developments in research publishing and access policies globally, with a vigorous ongoing international debate. Scholarship is at a crossroads. The research outputs from publically and privately funded research are often locked behind paywalls preventing new research opportunities for those without access to libraries with large budgets and excluding those in developing countries from the publically funded knowledge that is produced as a result of government research funding. The UK model of Gold Open Access is unfundable and unsustainable. The results of studies by the Wellcome Trust  and RCUK  show that more than £UK15 million was spent by RCUK in 2013/4 on costs of Gold Open Access publishing with a large proportion (and the highest article processing charges) being spent on “hybrid” Open Access – i.e. payment to traditional publishers for single articles within a subscription journal. Despite such models most of the world’s research remains inaccessible as current models reward publishers for limiting access to research. There are models that Australia should use to increase access to research. Science Europe’s Social Sciences Committee Opinion Paper “The Need for Diamond Engagement around Open Access to High Quality Research Output”  highlights the need for partnership between policy makers and publishers to facilitate deposition in repositories; standardisation and interoperability of research information metadata; and the need to build on infrastructures and networks already in place. Other models are possible and are being tried. For example, Knowledge unlatched  is a completely different open access book publishing model which uses library purchases to pay for the first copy to be published and made available open access subsequently to all. This model has developed to ensure valuable scholarly works continue to be published and available in an environment where commercial publishers’ sales targets, and not academic merit alone, can be a significant factor in the decision as to whether a scholarly monograph is published or not. Increasing access to research has benefits across all of Australian society and potentially can provide value in all of the areas highlighted by the Chief Scientist – competitiveness, high quality education and training, research and international engagement. In order to have the maximum effect on all these areas, the Government needs to adopt principles as it seeks to develop a policy on Open Access for Australia. Open Access must be implemented flexibly. It is becoming clear that there will be no one single solution for Open Access, but rather it will need a number of different models within an environment where the default is “Open”. What is currently lacking however is sufficient funding to develop new experiments and support innovative solutions. The Government should encourage and make available financial support for the development of multiple solutions, through funded experiments where needed and support for functioning, already established solutions. Examples of experiments include Knowledge Unlatched  for the publication of books in the humanities and SCOAP3 for Particle physics . Green Open Access, providing access via university repositories is currently the most well established mechanism for providing access to the diverse outputs of Australian Universities. The investment in repositories is currently through individual universities, delivering a fragmented landscape without a cohesive infrastructure and resulting in delays in implementing, for example, technologies for different metrics to provide information on impact. Repositories need to be able to innovate develop within an international and national environment. They should be part of the research infrastructure roadmap and a national project and program is required. It needs to link to international work such as that of COAR . There may also be a case for support of Gold Open Access journals via article processing charges (APCs) publishing in some circumstances, especially from innovative, not for profit or society publishers. However, Universities currently have little ability to support APCs, given their current commitment to the payment of journal subscriptions. Any policy on Open Access should not be aimed at providing access to just one sector (e.g. science or business). Open Access to Australian research outputs including older research material in collections is also a key component of improving education and engagement in science in Australia and any policy therefore should aim to increase access across all of Australian society. In addition, increasing global access to the research from Australia plays a role in international engagement. Reuse and machine readability of Open Access work is a critical issue in order to maximise its usefulness. Currently, many works that are labelled “Open Access” are in fact only free to read, in that they do not have an associated license that enshrines right to reuse, mine and build on the work – and may only be free after an embargo period. The Government should build on work by its existing Licensing Framework, AusGoal  and encourage the development of policies across the University sector that require all work to be licensed in such a way, under Creative Commons licensing , that enable reuse. We believe this fits into the Chief Scientist’s recommendation for “a modern and flexible IP framework”. Lack of interoperability and as yet patchy uptake of some infrastructure initiatives are holding back Open Access development. The Government should support the development and implementation of standards and interoperability initiatives in key areas such as exchange of data within and between national and international repository networks (as currently being led internationally by COAR, 6), facilitation of deposition of articles in repositories, as well as essential infrastructure, such as the uptake of ORCiD  identifiers for researchers. It is also important that any Open Access policy is developed in conjunction with current initiatives on open data publishing. The role of supporting particularly Early Career researchers needs consideration and development. Mechanisms to support these researchers are required to enable maximum benefit for the future of Australian research. The BIS report Open Access: Fifth Report of Session 2013–14 was heavily researched and offers a wide-ranging insight into the current state of open access. This blog cherry picks some of the useful aspects of the report with additional commentary if relevant. This blog is the second of two looking at the BIS Report. The other – “BIS Report part one: Finding & implications” – is available here. The blog covers under the headings: Supporting arguments for open access, Amount of research being made available, and Does green open access threaten subscriptions? We would like to note that the AOASG has had some (indirect) input to the BIS report. The report referred to “reports of a UK publisher in social sciences switching from a zero embargo policy to require a 24 month embargo, citing its accordance with the recent change to UK open access policy” (par 46). That evidence was the Richard Poynder article ‘Emerald’s green starts to fade‘ which in turn was triggered by the AOASG blog ‘Walking in quicksand keeping up with copyright agreements’ Heady days indeed. The report contains some useful information that could be employed in various discussions around open access. There were some interesting facts and figures relating to the percentage of work available open access in the UK. The first fact was that compared to a worldwide average of 20% of research available open access, “the proportion of the UK’s total annual research output that was available through open access in 2012 was about 40%” (par 20). COMMENT: This is excellent for the UK. We do not have comparative information in Australia, although we are working on a method for determining this. Currently there is information collected that indicates the total number of items that are available, but this does not answer the question: ‘what percentage of work published in the previous year is available in a repository open access the following year’. Even more illuminating was the fact that “Green currently provides seven-eighths of the 40% of the UK’s research outputs that are open access” (par 22). COMMENT: This is very interesting. We have known for a while that more research is being made available open access thro ugh green rather than gold open access – the 2010 Bjork study concluded 11.9% of research is available through green as opposed to 8.5% via gold http://www.plosone.org/article/info:doi/10.1371/journal.pone.0011273. That study showed that of the work being made available open access 58% was through green open access. The BIS report is stating that 87.5% of UK research is being made available in this manner. It also states that the Committee: “received strong evidence that Green is dominant internationally, with the latest data showing that Green accounts for about 75% of all open access worldwide” (par 33). This is a dramatic and impressive endorsement for the efficiency of green open access. Note the UK numbers are dwarfed by the “University of Liège in Belgium (collecting 83% of its annual outputs in its OA repository)” (par26). This is because the university has directly aligned open access to their promotion system. The report noted that compliance with mandates is higher if it is “a condition of funding compliance and if deposit is linked to institutional performance evaluation, research grant applications and research assessment” (par 26). Does green open access threaten subscriptions? Far from threatening subscriptions, it might be the case that having work in a repository acts as a promotional tool for the subscription journal: “The €4 million EU funded PEER (Publishing and the Ecology of European Research) project (2012) showed that traffic to journal websites increased when articles were made available through a publicly accessible repository, possibly because interest grew as articles were disseminated more widely” (par 44). The BIS report noted that “there is no available evidence base to indicate that short or even zero embargoes cause cancellation of subscriptions” (par 44). And yet, when questioned earlier this year by Richard Poynder, this is what Springer referred to as their ‘evidence’. 1. Taylor & Francis have decided to indefinitely expand their trial of immediate green permissions to articles in their Library & Information Science journals. If they were to run a comparison of those titles against the titles in, say , three other disciplinary areas over two to three years they would be able to ascertain if this decision has made any difference to their subscription patterns. 2. Earlier this year (21 March) SAGE changed their policy to immediate green open access – again this offers a clean comparison between their subscription levels prior to and after the implementation of this policy. If it is the case that immediate green open access disrupts subscriptions then we can have that conversation when the evidence presents itself. Until then we are boxing at shadows. While there’s been much angst about the locking away of academic literature and sky-high fees for libraries to access academic journals, what about all the other sources of publicly-funded material? Why are they also not included in the brave new world of open access? As a PhD student working in a reasonably cutting-edge area, grey literature* is my life-blood. And yet when it comes to some key sources who take money from public coffers for their work, getting access to material that should be public domain is tricky at best. My area of interest – not-for-profit, non-government hospitals and large scale clinics in developing countries – has not generally been the focus of briefing papers and articles. But often these health facilities are included in documents for various reasons without being the focus. And given the dearth of directly relevant data, I’m prepared to take what I can get – or at least what I can find. While recipients of Australian Government funds for research now have an obligation to allow open access, the same can’t be said for government departments, which are encouraged, but not required, to make their work open access. Try checking AusAID’s website for their list of advertising projects or FOI procedures and requests or this page on consultation arrangements. The links lead you either to a blank page or an announcement that the information will be added when it becomes available. And that’s just scratching the surface of the problem. A significant amount of research is now outsourced to specialist consulting firms or hubs at academic institutions. What that means in practice is we have no idea how much information isn’t making it onto indexes on government websites. As part of my research I went to AusAID looking for any information they might be able to contribute. I should stress the staff I dealt with were professional and went out of their way to check for me. But the end result was a direction to an outside body, the Nossal Institute, a health knowledge hub for AusAID. After I found some useful reports on Nossal’s website, I went back to the AusAID publications area and searched for them using keywords from the title. Nothing. I searched under health. Nothing. The document register similarly yielded nothing. So what happens to members of the public who don’t know AusAID has a librarian to ring and ask for advice? Or who doesn’t make the connection between AusAID and Nossal or any other body contracting to AusAID for that matter? Your ability to track down information funded by the Australian taxpayer shouldn’t be dependent on how ‘in the know’ you are. Whether you’re a researcher or a tradie, these documents should be easy to access. The sad reality is that even when you finally find the document you’re after, you probably won’t be getting the full picture. As anyone who has ever done research will tell you, there’s a lot that misses the final cut. What happens to that uncaptured knowledge? When all the researchers were in-house, that institutional knowledge collected along the way stayed within the institution. But now, it dissipates out to a complex web of contractors and partner organisations. So what hope does anyone outside the organisation have of tracing detail that didn’t fit the word limit? I imagined a world where I could ring the librarian, put in a formal request to get access to the library and come and thumb the physical pages, letting the Dewey decimal system lead me from one title to another and maybe even hit the jackpot with a title I would never have thought to search for. Or better still, in a face-to-face conversation with that gatekeeper of knowledge, the librarian might plant a thought that led me to the holy grail. Apparently not. Along with the outsourcing of much research capacity, the AusAID library now resides off site, so even staff put in requests for books to be retrieved and brought in. While it makes sense for archival or rarely accessed material, there are some titles that could and should be read often. And yes, there are electronic books, but not everything comes in e-book format, not to mention the costs if every individual in an organisation paid for an e-book every time they wanted to read a few prescient pages. While I’ve focussed on AusAID here, I gather from anecdotal conversations with departmental staff and fellow researchers that this experience is far from rare. I’ve singled out AusAID purely because of my recent interaction with them as a source. I was preparing to be less than glowing about the World Bank’s open access. I started by writing that the World Bank had an obligation, given their highly specialised research, to make all their reports accessible for free. As a frequent user of the site in the past, when I started searching the site again I went straight to the publications catalogue. I was appalled that it still cost $100 to get a report as crucial as African Development Indicators. The best they seemed to offer on the online bookshop was a ‘geographic discount’ for developing country purchasers. What I missed in the catalogue was the announcement on the inside cover page that ‘most publications are now available for free online’. I ended up stumbling on to the Open Knowledge Repository area of the website which is well designed, easy to search and remarkably had the vast majority of reports published by the World Bank available to download free. There are some exceptions in the open access policy. Open access only applies to external research when that research was commissioned on or after July 1, 2012 which presumably leaves some research still being undertaken now exempt from the rules. However given the volume of current and historical material available free it seems the Bank has worked hard with its authors to get their consent to publish full reports online. My one criticism is that this needs to be better flagged on the site, and particularly in the online bookshop. Over-familiarity with the old site led me to miss these changes – like many researchers I can be guilty of being a ‘mongrel reader’ and skipping straight ahead if I think I know a website well. The ‘read and share this’ button looked to me like a clunky piece of advertising rather than an invitation to download the research. So the upshot is that global organisations like the World Bank, with their multitude of stakeholders, are making huge gains rapidly, while Australian government departments are still lagging behind. It’s time government departments similarly made significant inroads into genuine open access. On Friday 3 May, the 2013 National Scholarly Communication Forum (NSCF) was held at the Australian National University on the topic: “Open Access Research Issues in the Humanities and Social Sciences”. The forum is an annual event supported by the Australian Academy of the Humanities and the Academy of Social Sciences in Australia. Certainly the audience was diverse at the 2013 event, ranging across academics, librarians, university executives and people from several relevant government departments. There was only one publisher representative. The discussions were robust and detailed. The audience appeared to be overwhelmingly pro-open access (this may be a result of self-selection). There was certainly very little dissent on the issue of the importance of opening access to research and scholarship funded by the taxpayer. Generally ‘green’ open access – making a copy of work available in a digital repository – was preferred over the ‘gold’ method of paying to have work published in an open access journal. to reflect on suitable business models for sustainable Open Access infrastructures that take into account the specificities of the Humanities and the Social Sciences in relation to serials, monographs and data. Open access definition: Open access is broader than simply science, technology and medical articles. It includes monographs, conference papers, grey literature and especially data – so the term Open Scholarship is more accurate. Open access implementation: Strong leadership is required within institutions to develop an open access culture. Similarly, there is a need for examples of best practice cases of university open access policies and implementation, both for individual universities and for Universities Australia to take forward. ARC and NHMRC policies: The point was made that not only is gold open access publishing allowed under the policies, but that researchers can choose to use some of their grant allocation to pay for this. There was an indication that the ARC might increase the percentage of grant allocations that can be used for this purpose. OA and reward 1: Increasing the percentage of research available open access is affected by the conservative nature of reward systems. This is a particular problem for the younger researcher, who despite being embedded in digital scholarship, needs to establish reputation through traditional processes. OA and reward 2: There is a need to widen and evaluate the scope of research evaluation metrics, moving towards article-level metrics. Many tools already exist to do this, for example alt-metrics. HASS disciplines can benefit from open access, particularly in regard to a wider impact in the community. OA and reward 3: There is already some discussion about standardising the reporting for HERDC and ERA. It would help to align the reporting objectives and data collection for HERDC and ERA with open access. It is unclear what percentage of universities in Australia report through their open access repository. Scholarly communication education: There is a major need for university researchers to be involved in, and be aware of, changes in scholarly publishing. Particular emphasis needs to be given to education for academics, possibly through best practice cases in copyright and licensing issues with publishers, such as Creative Commons. * Are there better ways to fund publication, provide incentives and reward researchers in support of open access? * How can open data be encouraged, recognised and rewarded? * How can return on public/institutional investment be optimised? Peer review: While acknowledging that peer review is essential for judging academic quality, free peer review could be threatened if pressures on individual academics increase and there continues to be no reward or recognition for peer review or more particularly, journal editorial responsibilities. Should more open peer review be encouraged? Open access publishing & preservation: Australian university open access publishers lead the world but need continued support. Digital preservation is a high priority, particularly for Government and educational resources but faces budget shortfalls – this is creating the ‘digital dust’ problem. Participants were sent a list of reading prepared by Colin Steele to help them get across the open access topic. The list is below. ARC (2013). ARC Open Access Policy. Australian Open Access Support Group (2013). Comparison of ARC & NHMRC policies. Bjork, Bo-Christer (2013). Open Access: Are the Barriers to Change Receding? Housewright, Ross, et al (2013). Ithaka US Faculty Survey 2012. HSBC Global Research Academic Publishing Report (2013). McMillan, John (2013). Open public sector information: from principles to practice. NH&MRC (2013). Dissemination of Research Findings. Research Councils UK (2013). RCUK Policy on Open Access. Frequently Asked Questions. Sale, Arthur (2013). Recent Developments in Open Access. UK Government (2012a). The Finch Report. UK Government (2012b). Executive Summary of the Finch Report. UK Government (2013). The Implementation of Open Access. US Congress (2013). Fair Access to Science and Technology Research Act of 2013. US President (2013). Increasing Access to the Results of Federally Funded Scientific Research. Willetts, David (2013). We cannot afford to keep research results locked away in ivory towers. Colin gave an overview of what is happening in open access around the world. He made the point that we are still echoing the horse and buggy of the 20th century. Recent research demonstrates the importance of the library in obtaining information. Australian universities spend $257.7 million on library acquisitions. While it is agreed there is a cost to publishing, the concern is the lack of transparency in costs and the size of the publisher profits. There have been statements around the world about open access – but the devil is in the detail. The debate has focused on scientific articles and not on HASS issues. Danny summarised the ARC and NHMRC policies in terms of what they require, permit and allow. She then talked about the barriers to compliance, including copyright issues and technology barriers. Currently due to copyright restrictions it appears we are only able to make a maximum of 55% of NHMRC funded research available. Technology barriers include the way the repository fits with the reporting databases in institutions. Aidan said it is important the two large funding bodies have policies that are as close as possible. The ARC was careful to introduce the policy in a way to give some breathing space to allow us to work out some detail. The technology is at the point where we can actually physically archive all material. The unsustainability of the current model that gives academics access to that information. At some stage that will collapse. Requirement from society that academics are not working in isolation but that there is a partnership between what is happening at universities and the society at large. The ARC feels that publisher’s agreements are a relationship between the publishers and the authors. Putting the funder into this equation is not something the ARC wants to see happen. Open access is a way for individuals to get their research out to the broader community. The biggest impediment is the reward system in the academic environment. The ARC is also the owner of the ERA evaluation process. The next ERA is 2015 – because of the timing there will be very little that can be tagged as open access. The following ERA (if it happens) has some scope to tie open access to direct rewards or impact of research. Books are another issue – partly because of the long lead time to research. The timeframe allows us some room to work through those details. Open data is more difficult. Need to go back to first principles. The research benefit is equally high. The data benefit is the best way to improve research. Not sure about individual benefit . The policy statement – “A Smarter Australia” http://www.universitiesaustralia.edu.au/resources/792/1549 was put forward by Glyn Davis and written and developed through consultation with all member unis in 2012, through a number of workshops on main themes and issues. The goals and targets represent the direction the sector wishes to move in terms of both ability to reforms and settings needed by government to enable reform. UA has expressed support and commitment for many years to move to OA to research. As the peak body, UA recognises that any public commitments must be realistic for all members, large and small, urban and regional and applicable to the mix of disciplines embraced by all unis. While the open access goals are conservative, the commitment is there. The target includes all outputs. A comment from the floor was that the Dept of Innovation has asked innovating businesses where they get their info from, a relatively small proportion (27%) get them from journals’ websites and publications. If we increase open access then the amount that is out there will link to more outcomes. Government information is an open resource. It is no longer ‘government’ information but ‘public sector’ information. It is a property asset protected by Crown copyright, a national resource to be managed on an open license basis. The community should be consulted about information of use to them. Published information should be easily discoverable and usable. Open information translates into open data and then into open dialogue. John mentioned several government data initiatives, starting with the original Data.gov http://data.gov.au site. He also talked about Gov Space – http://govspace.gov.au an online communications platform that hosts public blogs and other engagement websites on behalf of Australian Government agencies, and Gov Dex – http://www.govdex.gov.au which supports collaboration across government. It is a secure, private web-based space that helps government agencies to manage projects, and share documents and information. Gerard serves on the Government’s eResearch Infrastructure Research Committee. The humanities and research sciences are fragmented and chronically under developed in relation to eResearch. The problem is how to connect HASS information. If we can find the right sort of data, Australia has founded a research data alliance. The Research Data infrastructure committee is about to release a discussion paper about how we can get different data archives to talk to each other. There is little idea how to join the first two in a systematic way. Matthew began by talking about Aaron’s Law , in memory of Aaron Swartz, which argues for a need for consistency in open access policies and education institutions. There are big things happening now in the area of copyright – the Australian Law Reform Commission is currently underway. Currently the Trans-Pacific Partnership is being developed. There is a robust IP section, with the aim to raise standards of IP. There has been some discussion of the Obama administration push towards open access. But at same time the US government is pushing closing access to copyright works. The issue is problematic because we can’t see the text at the moment. Recent FoI requests have returned highly redacted documents. This could undermine open access initiatives and open government initiatives. John began by noting the World Wide Web [Correction 16 May – original said internet] is 20 years old this week, then pointed out that given publishing took 200 years to really take hold, the internet is disruptive technology. The electronic era has added open access journals, blogs & social media, open non peer reviewed publishers – eg: The Conversation and new formats – audio video, simulation. The new researcher’s dilemma is they are trained up in the old paradigms – libraries, journals & monographs. They think ERA has always been there and always will be there. But they are considered to be digital natives (and often are not). They have opportunities – they are positioned to exploit new technologies and will not endure old technology limitations. Many early career researchers may be well known before the mantle of traditional qualifications, so can not be judged by older measures and are moving from ‘publish or perish’… to get ‘visible or vanish’. Supporters of alt metrics identify it as the future of humanities and social sciences. Impact is a word that makes the social sciences nervous. It is typically the preserve of sciences. In the UK it is using the term ‘pathways to impact’. The idea is to encourage researchers to explore who could benefit from their work in the long term and to look at how could look at ways to get their work to a wider world. She believes this will change behaviour. A second practice in impact is the use of case studies – and this is the paradigm we are working within. That continues to be practised in terms of working outward. The problem with both these practices – how can academics provide tangible evidence? Not just that the work is available and out there, but that the public is using them. That discussion around an alternative metric system of public use that is called alt metrics. Idea to make the connection between output and use more direct. The relationship between altmetrics and open access is very clear and complementary. OA is well established, altmetrics is fairly new and under developed. It enables a public filtering system. Offers repository managers a different measurement system. Provide supplementary impact measure. May be used as quantitative measure. (This was a pre-recorded video as John was in Copenhagen at the time.) The initial economic work – was what’s the most cost effective type of OA? The next question is where do the costs fall and where do the benefits accrue? He has also explored the issue of a policy at the national level or at institutional level (not if the whole world did the whole thing). We found the only practical and affordable solution for a country or institution (as a small producer overall) is green open access. Recognises the benefits of open access with relatively limited additional cost. So unilateral policies should focus on green – completely opposite to the conclusions of the Finch finding. It is interesting that the publishers have criticised the figures and never put forward the figures to refute it (probably because they can’t). From an economic point of view price is set at supply and demand. Ultimately what we pay is what we are willing to pay. So papers are bundled into journals and journals are bundled into subscriptions. Very little for the reader in terms of cost of journals. There is a worry that some publishers are doing deals to bundle author deals – making the cost less transparent to the authors rather than the readers. In purely economic terms the publishing industry is small. If OA were to damage the publishing industry (a big if, and not likely), there would be an adjustment cost. In publishing would be making professional information specialists in Oxford redundant (this is not the same as closing a mine in Wales and having long term unemployment). Current research – winding up three projects working on with Neil Beagrie [Correction 16 May 2013,- originally wrote Burbery] in the UK costs benefits in research data curation and sharing. Keith has been an editor of a journal for 16 years. Originally people used to submit articles by mail & sometimes the editors discussed them by mail with the referees. Now moved to Sage Track – centralised. Journal only gets 150 submissions a year, dislike the system. The system is better for a journal with larger number of submissions. Keith thinks Sage is one of the better publishers. Also have Sage Open. He gets royalties from the journal and that runs the office. The royalties from the sale of the journal – 50 hardcopies a year sold to private individuals. They get data as editors all the money that comes in via the JTP. There is a concern with the issue of multiple ways of publishing the same piece. As an academic you need to track down the original item and sometimes it is not available any more. If there is too much data sometimes you can’t find anything. So even if getting a open access version of the pre print it has been added to and improved in the process. Process that we have in place for ensuring quality research is important and results in quality. There is an issue about making data freely available for anyone to use and produce articles from. Feel this is often pushed by high tech high quality at Professors at universities with resources. People don’t want others to get hold of the data before they publish from it. In some areas there is movement towards acknowledging the data creator in any publication from it. Christina is the Editor of Historical Studies. She is dealing with issues of open access and quality. One thing that came out was the relationship with publishers. A variety of business models and a variety of support from the publishers. This is the kind of research that gets picked up in policy. Some were published by societies, independent control. Others from smaller societies rely on the largesse of the institutions. There is a class of smaller journals without large subscription bases – publish online and open access already. Less prestigious journals . The fourth model – is those entered in large contracts with large publishing houses. These contracts are signed by people who don’t know anything about contract law – possibly signed without realising what they were signing. The publishers distribute editions of the journal. Provide a limited amount of copy editing. A feature common to this and all other journals is that the content of all of theses journals is provided free of charge. Most academics who publish have full time positions or under grants. But there is another level of labour – the editing and the refereeing process provided without remuneration. She doesn’t think there are many large business models in the world that rely on such a large amount of unpaid labour. Some money comes back to pay for an editorial assistant by most of the editing is done for free. This model comes from a time when most journals came form scholarly societies, and when demands on academics were different. Usually to maintain a level of prestige it means it needs to be edited by senior academics. This is not factored into any university workload or rewarded financially by the publishers. For open access to work it needs recognition for the people who put something in for the quality. We need to develop a way of funding editorial work for journals and external validation for it. (James was hampered by a technical issue with his slides and he had to present without them.) Springer started experimenting with open access after the merger between Springer and Kluwer. They launched Springer OpenChoice – the first hybrid journal option. The original thought in the community was that Springer might have been trying to kill off open access because the article processing charges were very high. Springer is the second largest commercial publisher and they started offering open access because it is an opportunity. As a business that publishes experiments Springer feels we should be willing to do experiments themselves. They have supported green open access. Monograph creation and consumption is undergoing revolutionary change. Very little current material is open access. Australian university libraries have taken a lead. Business cases, support structures, evidence cases and policies all need to be considered. Monash University Publishing uses an open access/hybrid model. The traditional university publishers in Australia are publishing about half the number that the OA publishers are. About 10% of the books listed in the HERDC returns are published by Australian university presses. Cathrine also discussed policy issues, open research data and data collections (including Research Data Australia) and the issues of Research Data Alliance. She mentioned digitising and digital collections – a topic close to the HASS communities’ hearts. There is very little investment in digitising in Australia. Unlike what has happened overseas, digitisation in Australia has had to be funded internally. Jim gave a summary of the ANU E Press, which began in 2002. They began by publishing previous ANU publications. The original idea was to enhance the reputation of the ANU – everything is peer reviewed – and to provide book and journals online free of charge. The key was to have a decentralised editorial process. Embraces the entire university then special research groups within the universities. E Press does electronic format. Since establishment the press has published 456 monographs. It is listed as a commercial publisher and recognised by HERDC. The total complete downloads in 2012 were 692,760. The ANU E Press publishes monographs that include Music, Ethnographic Sound Recordings and Video as an integral part of the monograph. The Press also publishes ANU E View – material that is not peer reviewed. And also produces journals – able to track particular issues of journals. Have some best seller journals issues. Have held the line at five journals because they are more complicated process than handling monographs. Unless otherwise noted, site content is licensed under a Creative Commons Attribution 4.0 International License.